2018-Prize Winner ‘The Private View Prize’-The Cumbrian Open Exhibition ,Upfront Gallery ,Penrith. 2017 – Prize winner – 2nd @Cumbrian Open Exhibition, Penrith. 2016 – ‘HRH Princess Michael of Kent Watercolour Award’-Mall Galleries ,London. 2014 – Awarded Full membership to The Society of Women Artists, London. 2013 – Awarded associate membership to the The Society of Women Artists, London. The Royal Institute of Watercolour Painters, Mall Galleries, London. ‘Paint’ Exhibition-The Courtyard Gallery , Appleby. Cumbria. Bellwood &Wright Fine Art Gallery, The Big Print Exhibition, Lancaster. The Royal Institute of Watercolour Painters, Mall Galleries ,London. The Cumbria Open-Upfront Gallery, Penrith. Bellwood and Wright Gallery, Lancaster. 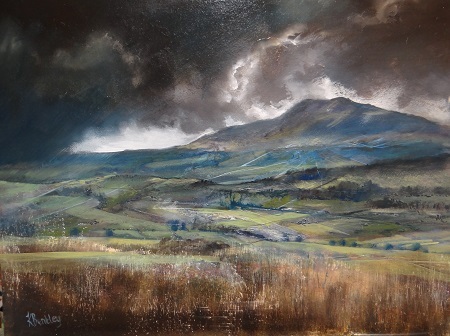 The Lakes Artists Winter Exhibition, Rheged, Penrith. Mixed Exhibition-Paper, Scissor, Stone Gallery, Hartlepool. GD10 Exhibition-Brewery Arts Centre – Kendal. Brewery Open Exhibition-The Warehouse Gallery-Brewery Arts Centre, Kendal. Granada TV North-East Finalist-for “A Brush with Fame” Portrait Award-Newcastle. Green Door Studios Annual Exhibition-Grasmere,Cumbria. One +One+One Exhibition-The Signature Gallery, Kendal. Mixed Christmas Exhibition-Karen Taylor Contemporary Gallery, London.